The Resting Place is an android game currently in development. The Resting Place is a meditative and experiential game which is meant to slip quietly into the player's life. Over the course of days, weeks or months, the player explores a tiny collection of wistful worlds and gets to know their denizens. Progress is limited only by the growing of flowers in the world, which can be picked and offered to the massive gates that lead to new spaces. 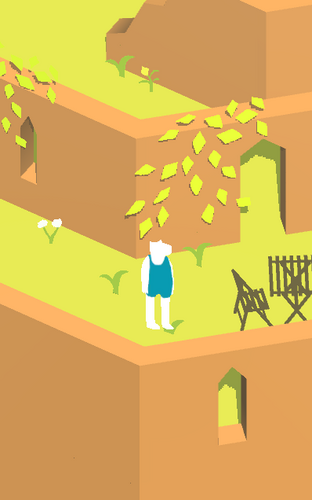 Flowers grow back every day, so the game unfolds at an intentionally gradual pace. We want Resting Place to be a world you pop into whenever you need a moment to rest and reflect.